Now back at Cuddy Halll for a discussion with @theNASEM about #MeTooSTEM, running through sleet and snow. Should be a good discussion given our recent #TitleIX complaints. See the 300 page report from NASEM on sexual harassment. 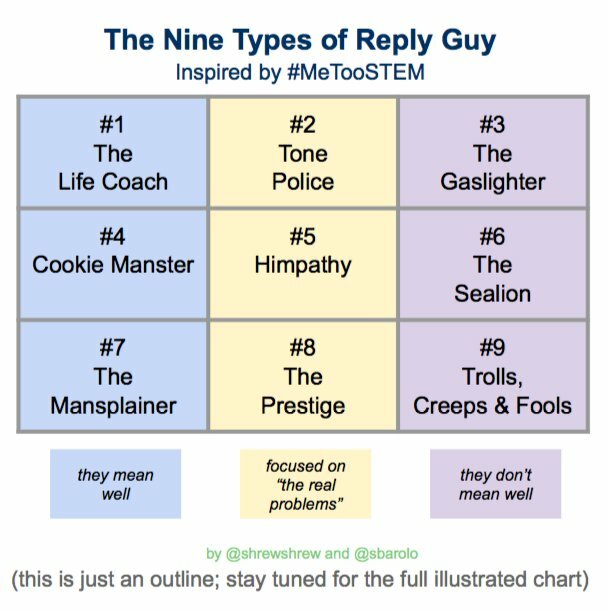 Linked here for the 5 people on Twitter who don't know that sexual harassment exists in STEM. Here's the 300 page evidence that it does. 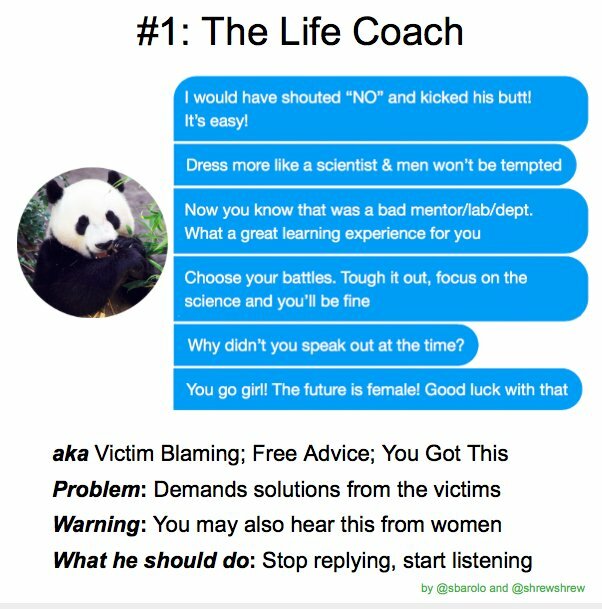 Good reminder that gender harassment ("women don't belong in STEM") is as damaging as the overt sexual harassment (unwanted sexual advances, etc). This will be a thread on why a lot of men are viewing the situation of @McLNeuro incorrectly. I actually have been a follower of all of those pseud accounts people of been talking about where be a along with many others were tweeting. Including those accounts being abandoned for harassment and other poor male behavior. That actually doesn’t tear into anything but it is important day to clear that up front. What most people are not talking about is the fact that BA had a positive tenure review prior to everything hitting the fan due to some insecure mail researcher. 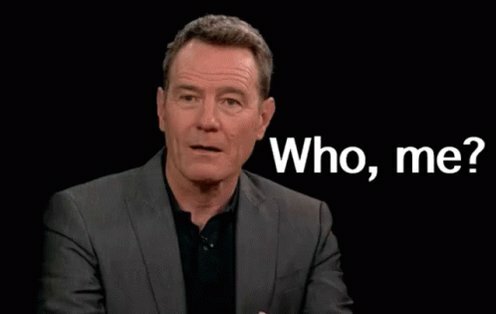 There’s a Black man scientist who goes around telling Black students in physics not to be a social justice warrior like me ... and he’s senior to me so I can’t publicly name him and say don’t be a sexual harasser like him. As in, he sexually harassed me and now attacks my career. 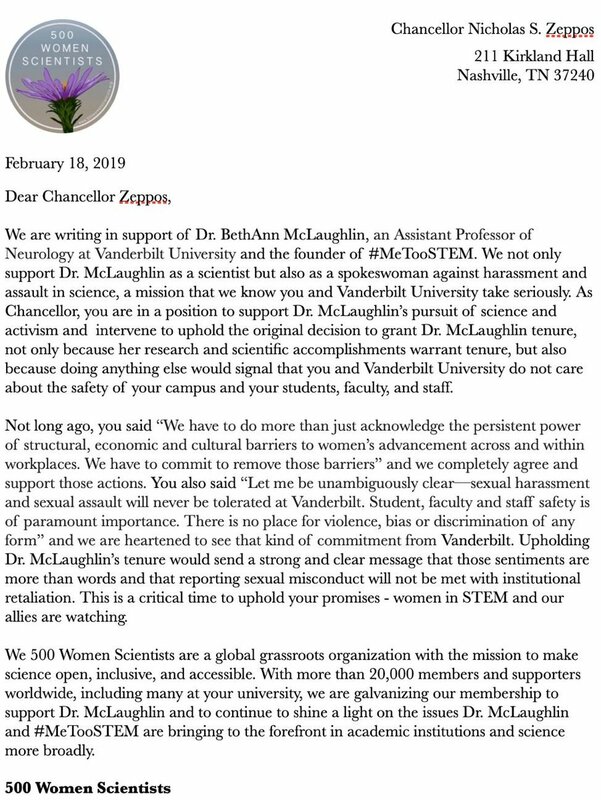 This week, we wrote a letter to @NicholasZeppos showing our support for @McLNeuro #metooSTEM founder, MIT Disobedience Awardee, slayer of the Rate My Professor chili pepper, advocate for safety in science, teller of uncomfortable truths, and accountability bloodhound. Guten Morgen! Ich bin Michaela, Wissenschaftlerin und Journalistin, zudem Feministin und Sozialdemokratin. Heute geht's darum, wie jede dieser Facetten meinen Blick auf die Welt beeinflusst und wie ich als Journalistin mit dieser "Subjektivität" umgehe. Als Feministin fühle ich mich schon seit langem. In Großbritannien schien sich auch niemand sehr an diesem "Label" zu stören. In Deutschland (wie auch in Österreich) sehe ich aber noch mehr Zurückhaltung beziehungsweise sogar Widerstand gegen den Begriff. Deshalb bin ich neugierig: Wer von euch sieht sich denn selbst als Feminist*in? First, I respect the hell out of the people who worked hard on getting data for this report. We would be nowhere without these numbers. Nowhere. Now that we are here, where we know most women in science and medicine are harassed, assaulted or retaliated against, now what? It gives me HUGE pain to see a study on sexual harassment funded by @nsf and @NIH when they haven't taken a dime away from a man for assaulting a woman in science. Not a single grant for groping or grabbing. Not for 46 years since Title IX went into effect. A year ago, @NIHDirector had pushed off womens cries for help and healing after sexual harassment. This year, he was dragged to Congress to account for his do nothingness. Resistence matters.